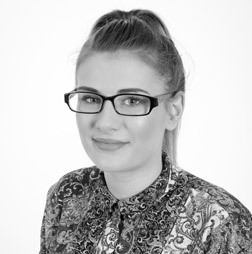 Eleanor joined CDC after beginning her career with an Accountancy firm. The opportunity then arose to join CDC to allow her to diversify her financial career. She is currently working towards her professional qualifications in financial planning and wishes to expand her knowledge and pursue a career in the Financial Sector. She looks forward to having a long and successful future at CDC Wealth Management. Eleanor has aspirations to travel the world as she is extremely interested in the different cultures, experiences, food and lifestyle. Out of work Eleanor enjoys relaxing with retail therapy and socialising with friends.